Enroute to Boracay, we arrived in Caticlan Port hungry. 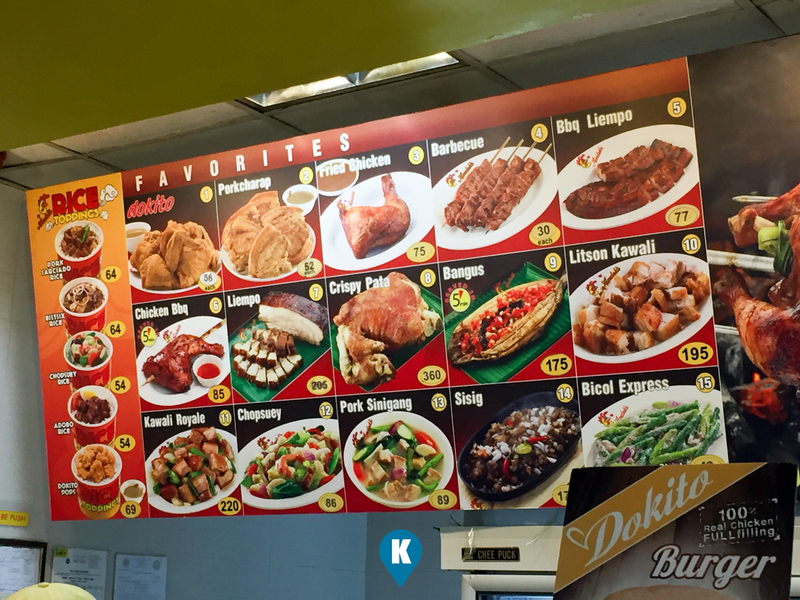 Upon exiting the Terminal or Pier, this writer chanced upon an Andok's restaurant. Yes you read it right the first time, a restaurant. 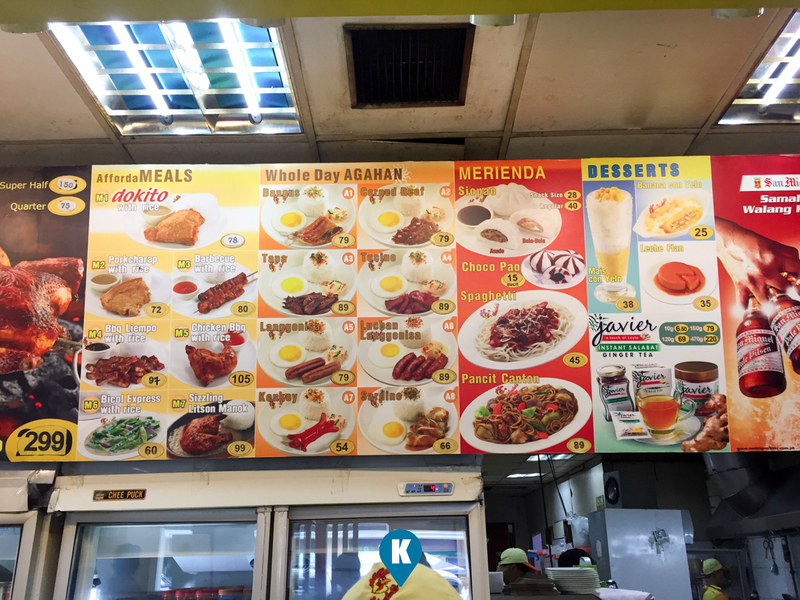 Andok's is particularly popular in this part of the Philippines and that they have a dining area similar to leading fastfood chains in Manila. On the menu board they have lots of dishes and combo meals which made me wonder in awe and stared at it for a few minutes. Look at that freaking menu board. Then I forgot to order. 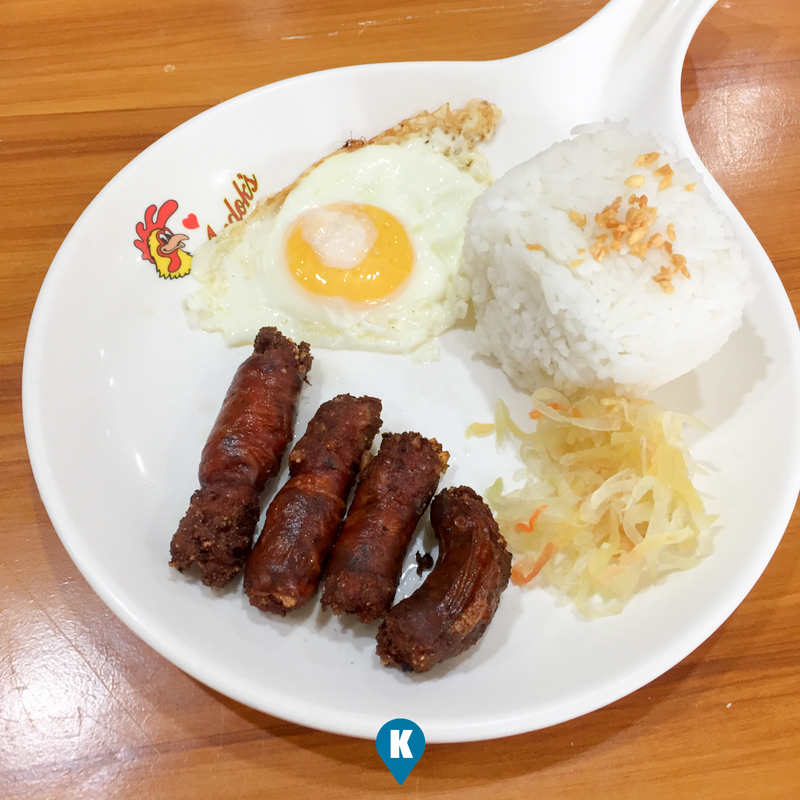 Just to keep the queue going, I blurted out the combo meal that I was fixated to which was the Lucban Longganisa. Its part of their Whole Day AGAHAN meal and was curious enough how a Lucban Longganisa would end up somewhere in the Visayas. They have to cook it still so after paying for it, they gave me a number for which it will be served thereafter. Most Andok's here have dining al fresco, but this one somehow had a small section air conditioned. After a few minutes my Lucban Longganisa arrived. It had a sunny side up egg with some pickled papaya or achara, along with garlic rice. My meal costs Php89 so it was worth the price. The longganisa was typical from lucban, salty. LOL. Anyway, it was fun knowing it had a fast food appeal to it, and experiencing a great dining experience with them. An experience worth mentioning when I came back to Manila.